A group of Democratic lawmakers carried through on their promise to introduce articles of impeachment against President Trump before Thanksgiving. 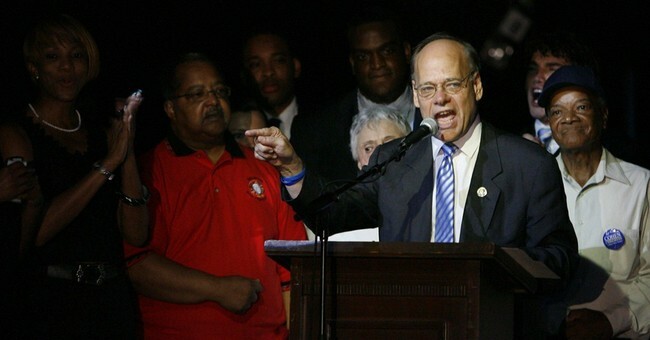 Democratic Reps. Steve Cohen, Luis Gutierrez, Al Green, and Adriano Espaillat introduced five articles of impeachment during a press conference Wednesday, arguing that the president is a threat to the country. Reps. Marcia Fudge and John Yarmuth signed on as co-sponsors. “Given the magnitude of the constitutional crisis, there’s no reason for delay,” said Cohen. While the group made several charges against Trump, five actions are serious enough to merit impeachment, they argued. These include: obstructing justice, violating the Constitution’s foreign and domestic emoluments clauses, and undermining the federal judiciary as well as the press. Among those, the lawmakers say Trump obstructed justice when he fired former FBI Director James Comey, who was leading the federal investigation into Moscow’s 2016 election meddling — a probe that has included questions of potential collusion between Russia and the Trump campaign team. They’re also accusing Trump of violating the foreign emoluments clause, which bars public officials from receiving gifts from foreign governments without Congress’s consent, and the domestic emoluments clause, which bars the president from profiting from his office. Likewise, Rep. Steny Hoyer, the minority whip, opposed the effort. "Do we disagree with the policies? We do. But disagreeing with the policies is not enough to overturn an election, a free and fair election," he told reporters after Cohen's news conference. "There are a large number of Democrats that believe this president ought to be impeached, we have just a made a judgment that the facts aren’t there to pursue that," he said. Republicans blasted the move and said their focus remains on addressing concerns of the middle class.